“We must hear all the stories…And by hearing all the stories, we will find points of contact and communication, and the world story, the Great Story, will have a chance to develop,” Chinua Achebe in There Was a Country. Two days ago, the literary world lost a legend. Many people don’t know of Chinua Achebe, the Nigerian writer and teacher whose 1958 novel Things Fall Apart is one of the most well-renowned works in African literature. So in his memory, I’d like to celebrate the life of this influential man. I read Things Fall Apart my freshman year of college, and after tutoring for a couple years after graduation, I’m pleased to hear that it’s showing up in more high school’s curricula now. Most students aren’t accustomed to reading authors of color, as schools still adhere predominantly to the Western canon (or as I described it to my students–“those dead white guys”). I’m certainly not discrediting the dead white guys. But let’s remind ourselves that while their work is commendable, their merit has been elevated through their social status. Literature has historically been reserved for men who were wealthy and educated enough to read, write, and gain respect from fellow elites. Everyone else had work to do and mouths to feed. Reading about other cultures highlights history through unique, under-represented lenses, thereby broadening your mind. It can definitely be a disorienting experience: We’re vaguely aware of how cruel and bigoted Western civilization has been toward the rest of the world, but not until we hear first-hand accounts of imperialism and racism do we recognize the extent of white privilege. Achebe’s work, and his conscious decision to share his work in English, has opened the eyes and ears of people across the globe, who otherwise would be oblivious to Africans and their struggles. Things Fall Apart, in particular, showcases an African village’s tragic transition from tribal autonomy to white colonialism and religious conversion. Although the novel has been criticized for its representation of a misogynistic society, I’d argue that history has always been sexist, whether we’re looking at the African man with multiple wives or the white conqueror who then rapes those wives and sells them into slavery. Analyzing the past critically can be painful and controversial, but Achebe manages to do so with poetic finesse. Achebe is also not one to shy away from pointing out the perceived racism of other authors. His hatred for Joseph Conrad, the author behind Heart of Darkness (1899), is among the most studied literary feuds. Granted, Conrad died about six years before Achebe was even born, so this feud is clearly one-sided and will remain disputed among literary critics since Conrad was never able to address Achebe’s scathing remarks. I’ve read both novels, and I encourage you all to do the same so that you can understand how imperialism is seen through race. To some extent, Conrad will always be subject to his viewpoint as a white man–regardless of any anti-colonial sentiment–so I can understand Achebe’s side. However, I feel that both authors’ writing is very nuanced, and that this debate is more complicated than it seems on face value, which is why I suggest my fellow book bloggers to decide for themselves. Ultimately, you don’t have to be a student of African studies to appreciate Achebe’s talents. Please do your part in making this world more progressive by reading outside your racial comfort zone. And help me do the same by recommending some other fantastic writers of color! I’d greatly appreciate it! Happy 200th Birthday Charles Dickens! 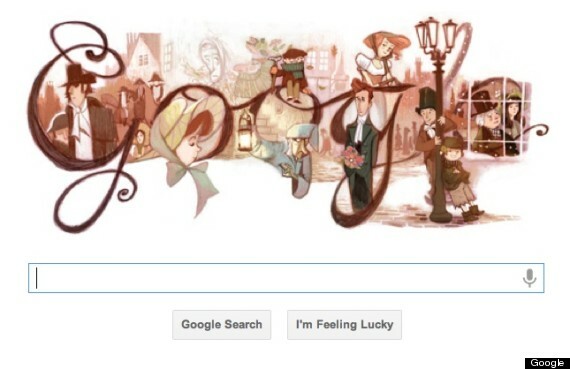 Even Google honored Dickens’ b-day! He was the second of eight children, and then had ten children with his wife Catherine. He had a near photographic memory. He was involved in the Staplehurst rail crash of 1865, in which the first seven train carriages fell off a broken bridge. Dickens was in the last first-class carriage, and his experiences helping the wounded left him traumatized. He stated in his will to not erect any monuments for him, but a life-size bronze statue can be found in Philadelphia. Now I have a love/hate relationship with Dickens’ work. I think that A Christmas Carol is so overrated that I refuse to read it. I also loathe Great Expectations with a bloody passion after my freshman “English teacher”/debate coach completely ruined the novel with ridiculous assignments. However, I read Hard Times, and although it was pretty dull, I appreciate it as a honest look into the Industrial Revolution. I’ll write a full review of A Tale of Two Cities for the next Masterpiece Monday, but it’s an exquisite story of love and turmoil during the French Revolution. Yes, due to serially writing his installments, Dickens is known for rambling about very little for a very, very long time, but I would say that the last five chapters of A Tale of Two Cities was one of the most rewarding reading experiences–so worth the struggle to get that far. So while I may not love Dickens enough to attend UCSC’s week-long summer event “The Dickens Universe” (which I’ve heard is positively delightful, so click here for more info if it tickles your fancy), I do respect the author for shining a spotlight on the working class and giving us some of literature’s most memorable characters, such as Oliver Twist and Miss Havisham. As for my own reading update, I just finished Book One of Tender is the Night, and because the book’s taking longer than normal to finish, I’ll probably post a mini-review sometime this week. Stay tuned! I’m forgoing today’s “Masterpiece Monday,” so I can express my thoughts on the late great Christopher Hitchens. Sure, I’m a bit late considering that most media are more concerned with Kim Jong Il’s death right now, but how do you figure out what to say about a man who changed your life? For those of us who knew of Christopher Hitchens, his death on Thursday was not surprising. That doesn’t mean it wasn’t heart-breaking. Hitchens was a famous atheist from England whose reputation as a debater could not be matched. And the only thing that could match his excessive smoking and drinking was his esophageal cancer, which killed him at only 62 years old. I became familiar with Hitchens in high school, as I educated myself on atheism and read the works of Richard Dawkins and Sam Harris. I read excerpts of Hitchens’ God is not Great and loved watching his debates on YouTube. His curmudgeonly attitude and harsh words against religion obviously upset a lot of people, but I was amazed at how many commenters online respected his refusal to be sorry for his beliefs, as well as admired his quick wit and riveting words. Hitchens gave me the courage to live as a loud and proud atheist. One smart reader noticed that I prefer to call myself “secular” on my blog, but I only do that for your guys’ benefit, not mine. 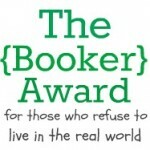 This is a book blog, and my atheism–although vital to my life–does not need to be mentioned in all my posts. But make no mistake: ever since de-converting as a teenager, I have never had doubts or felt apologetic for my views. Hitchens didn’t need saving, no prayers and miracles. He chose to smoke so heavily, and he never regretted his lifestyle. We shouldn’t hope that God will let him into Heaven anyway, and we shouldn’t wish him a torturous existence in Hell. He didn’t fret about his afterlife, so we shouldn’t either. Instead we should respect his beliefs and focus on all the good he achieved while he lived. So how exactly did Hitchens change my life? By showing me that if atheists want to be accepted by society, we need to lead by example. We shouldn’t be afraid to share our thoughts and educate others, to fight for our civil rights and remind people that the majority shouldn’t rule by default. Show everybody that you don’t need faith to be a kind, considerate, generous, and moral person. Whether you’re a staunch atheist, a devout Christian, or someone in between, you can benefit by reading Hitchens. He’ll broaden your mind as he blows it with all his exquisite arguments. You may not agree with a word he says, but at least you will be encouraged to ask questions and not take everything for granted. Because that’s what it means to be an atheist. We believe that this life is all we get, so we better make the most of it.